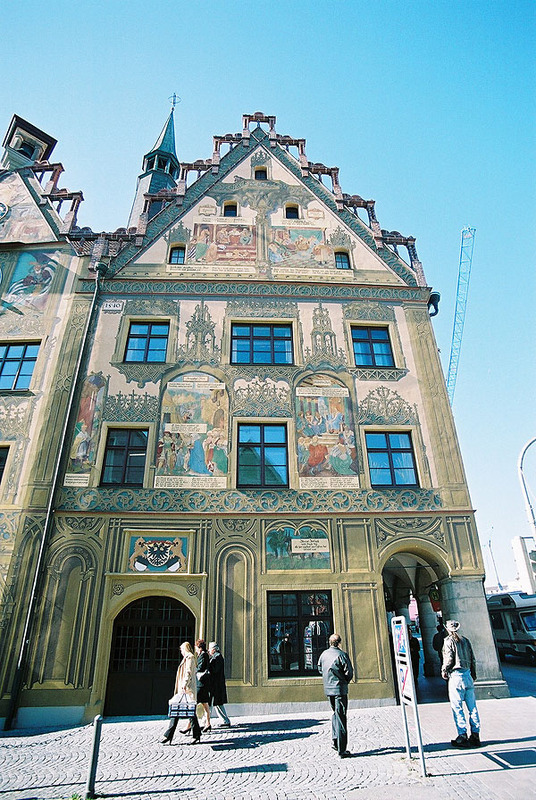 The fine Gothic-Renaissance Ulm Town Hall of 1370 is decorated with brightly coloured frescos. 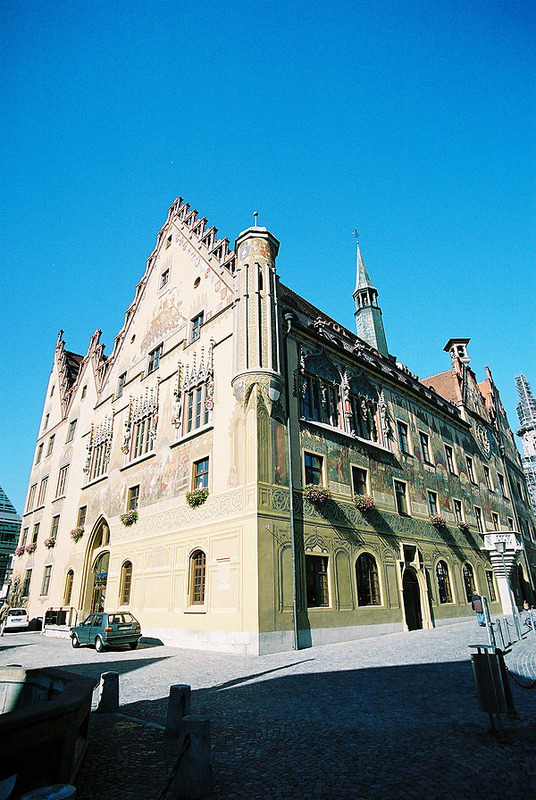 Everything on this building has been decorated or is there for decorative effect from the figurative gargoyles, window surrounds, doorways to the fragile looking gables. 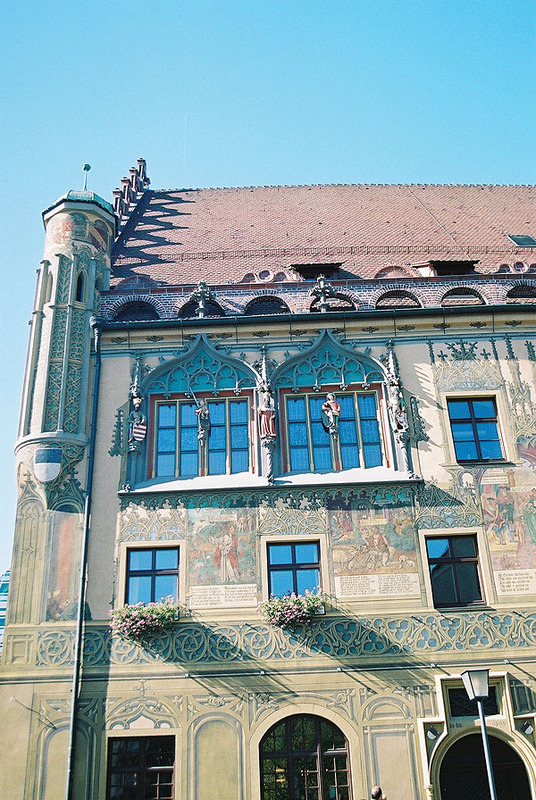 Like many of the buildings of Kempten and other nearby towns, a lot of the architectural detail is painted on – painted window surrounds and painted “carved details” abound.